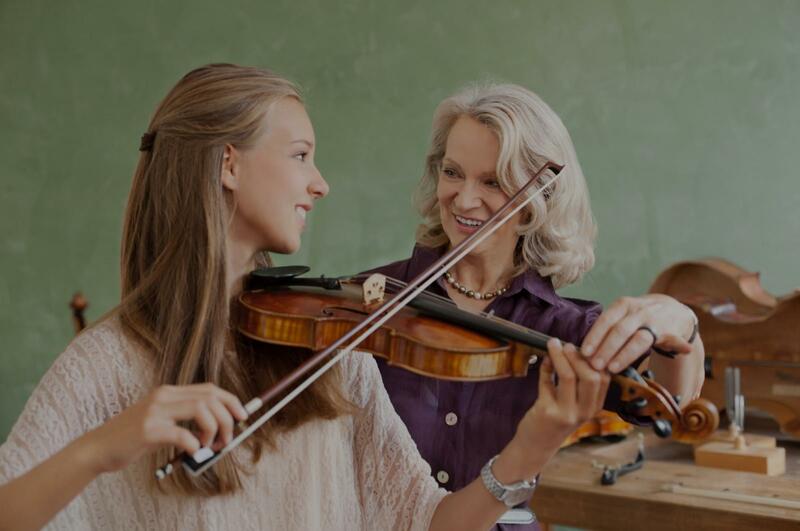 Fortson, GA Violin Lessons Near Me | Fun Classes. Top Tutors. Check out some of our most popular teachers near Fortson, GA including Midland, Fort Benning, Hamilton and Columbus. I repair, restore and teach all levels and genres of violin playing from Classical to Bluegrass. Violin, viola instructor, performing art. Classical music. Mostly traditional Russian method of violin teaching, also Suzuki. Began violin lessons at age 8. At age 15 was accepted into the elite program at the School of Music in Odessa, Ukraine. Continued on to one of the premier music Universities in the world: Kiev State Conservatory, where I received a Masters degree in Teaching and Performing arts. Throughout my higher education I have held Violin Instructor positions first at the Kiev Music School and then at the Conservatory. My Professional Career in Ukraine and USA includes performance with numerous symphony and chamber groups, such as Kiev Chamber Orchestra, San Francisco Symphony, San Francisco Opera, San Jose Symphony. I am passionate and dedicated to my Art which is reflected in my teaching style and in the results my students consistently achieve. is to convey to my students the beauty of making music. I define success to be the ability to see the joy that playing for yourself and others brings to you and your audience. Proper technique is the key to producing extraordinary sound and growing as a violist. I ensure that my students gain solid understanding of these fundamentals first and foremost. A significant part of the first few lessons will be devoted to developing proper posture and hold of the instrument. A good violinist must be relaxed to prevent muscle tension and produce those rich, spellbinding notes. Soon the instrument begins to feel like an extension of the hands, and students begin to progress much quicker, seeing (and hearing) surprising results. I can follow the Suzuki method if requested, but much prefer principles of the Russian School. I will be happy to discuss the benefits of each with you. Larisa was very patient with Paladin in teaching him the basics of how to set up and hold his violin. He was excited after his first lesson. Larisa is giving my daughter the perfect balance in modeling both professionalism and allowing her to grow..learn ... a love for the violin . We are still at the beginning ....but I think she is a very good fit for my daughter. Students can expect a relaxed, fun, and encouraging atmosphere for learning. The violin can be an intimidating instrument- you will make a lot of unpleasant sounds before you start sounding great- and that's okay! I'll be there to guide you and help you reach your goals. I love tailoring lessons to my students! Music is personal and I want to make sure you're learning what you're interested in or need to learn in order to prepare you for auditions or keep up in groups you play in. I always ask students for a list of music they're listening to or want to learn - nothing's off limits! Stephanie is patient, quick to respond and very flexible. I'm a adult beginner and she has been my teacher for a year now. She makes me feel comfortable when learning. I have a very busy schedule and she is always willing to work with me including coming to my home late at night. She is easy going and it's been a great year and I have learned alot! I definitely recommend and am continuing lessons with her! Stephanie is wonderful. First of all, she is a truly virtuosic player. She plays beautifully. That is hugely important. Never hire a violin teacher who does not make a gorgous sound. She makes a gorgeous sound. Second, she is an amazing TEACHER. She knows how to tailor her approach to the student’s unique learning style and musical tastes. She can take you through a purely classical curriculum, or she can also help you learn to play your favorite pop songs. I have been taking lessons with her for two years and my adult (step)daughter who has Down Syndrome has been studying with her for a little over a year. I have progressed consistently and my stepdaughter has also progressed consistently. Stephanie definitly knows how to collaborate with me to adapt her lessons to my (step)daughter’s special needs. My (step)daughter loves her lessons and Stephanie mixes things up to keep her excited and motivated to practice. Stephanie prepares more in advance for lessons than any instrument teacher I have ever observed. She creates her own teaching aids for each student, personalized to their needs. She has formal Suzuki training both as a learner and teacher, so she knows the Suzuki curriculum, and can use a strictly Suzuki approach for people who want that, but she also knows the scope and sequences of skills so thoroughly that she can guide students without relying on Suzuki if that approach is preferred. She takes a positive approach, helping students to learn to listen to and evaluate their own playing rather than over critiquing. She teaches students to practice effectively, and uses questions to gently guide students to draw appropriate conclusions about what they need to do to improve their playing. She paces lessons well. She does not require perfection before moving on, but also discourages racing through repertoire without developing the target skill represented by the repertoire. She does not waste lesson time. She uses lesson time very efficiently. Her demeanor is warm, calm, mindful, gentle and kind, but firm about holding students to appropriately high expectations. I started wth her as an adult beginner and have loved every minute. I am now an intermediate player... sooner than I expected. She is also very reliable. She does not forget appointments or run late or cancel frequently. The room she teaches in is clean and organized. I really think she is very appropriate for gifted kids, average kids, kids with special needs, and adult beginners both typical and with special needs. Stephanie has been our violin teacher for the past eight years, and we love her. My daughter was five when we started lessons. Everything my daughter has learned about music and the violin, she has learned from Stephanie. From reading music and technique, to music theory. We look forward to our lessons every week. I am an active chamber music violist in the Northern New Jersey Area. Receiving my Bachelors Degree from Montclair State University studying with Honggang Li of the Shanghai Quartet and Kathryn Lockwood of the Lark Quartet, I have experience in many styles of music and have performed in many concert halls around the Eastern United States, Canada, and Shanghai. Can't find a teacher in Fortson, GA? "Erin is a great violin teacher for my son! ll. She helped my son to improve the techniques and was strict about his posture (much needed!). Erin was very encouraging and patient with my son. She always wrote the post-lesson notes, which was super helpful to keep my son focused on the areas for practice. When my son decided that he wasn't interested in violin any more, Erin encouraged him, and offered good advice for me too. I really appreciate Erin's professionalism and positive attitude!" hose who wants to be really good at the violin, but not practice much. Erin is changing that. She is a joy to work with. We are back and forth to China during the year and Erin has been amazing to accommodate our class times to our 15-hour time change. We are blessed to have found Erin. I highly recommend her!" Erin thank you for teaching my Daughter violin, she is improving every week! We are so happy we found you." or her violin on her own." "I started taking lessons from Erin a little over 3 years ago. I am an adult learner and have aspirations of playing in an orchestra. I now play in two. Thanks Erin. I have recommended to friends."